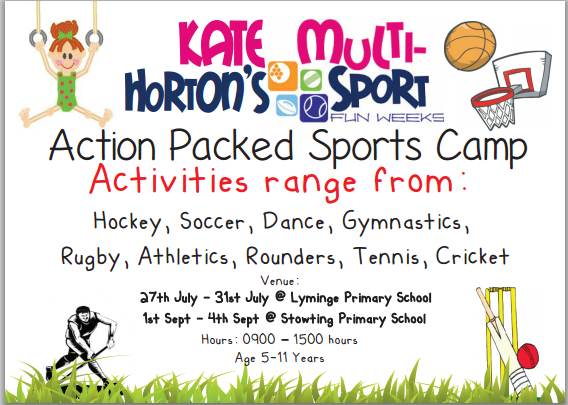 Mrs Horton is running two weeks of Multi-Sport sports camp over the summer holidays. 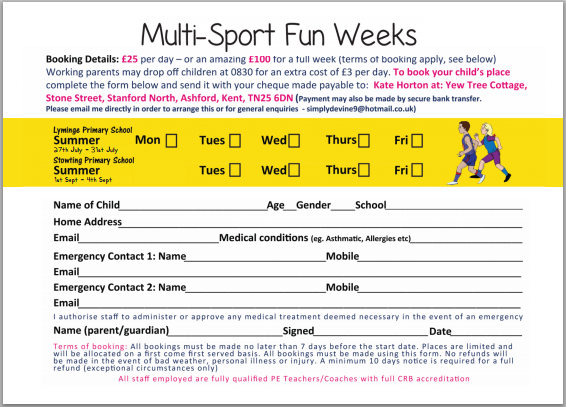 Book now to make sure you get a place for your children! !